Are you looking for the latest social media marketing tactics? 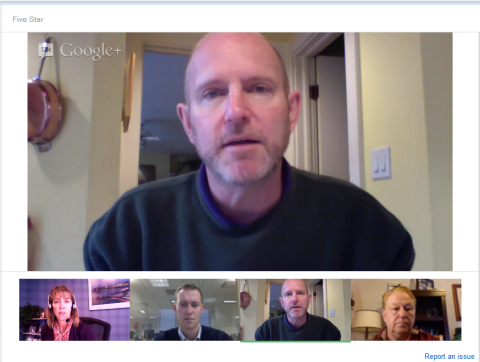 Do you want to know what the social media marketing pros are doing today? Keeping up with the latest social media changes is not always easy, and our social media marketing tactics may need to be refreshed. We asked 16 social media pros to share the best marketing tactics worth doing today. You can build a loyal, raving community by hosting online events that put the focus on your fans. A fun and effective online event is hosting a “Fan Page Friday”—it’s essentially a virtual networking party where you allow all your fans to share links to their own pages on your page. The event can last as long as 24 hours or more and is a great way to discover new businesses, get more fans, and build tremendous community while increasing your EdgeRank (news feed visibility), too. Many page owners launch a Fan Page Friday event every week; however, I find it much more effective to host one about every four to six weeks, as it has a bigger impact. On my last virtual party, several thousand page owners participated, many of whom picked up as much as a hundred or more new fans as a result. Be sure to include a hashtag like #FacebookFriday and schedule your initial invitation to go out very early in the morning. Then add another couple of invitations throughout the day. Facebook Friday is a great way to build your community. 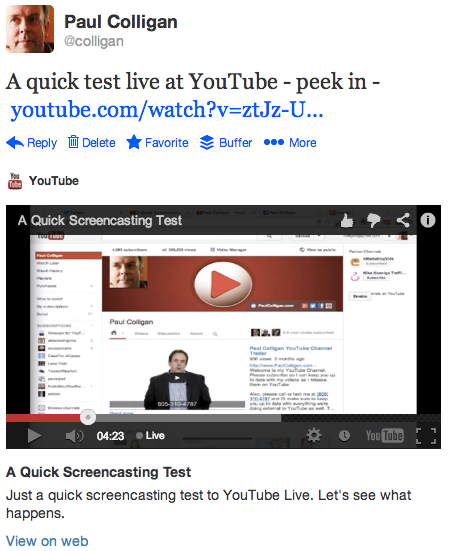 Another example is to host live webinars where you give away great content. You can monetize your time and effort by making a great offer on the webinar. Many businesses both large and small use this model well. By way of example, my latest Facebook marketing webinar had over 13,000 registrations; I like to provide ongoing access to the replay as well. 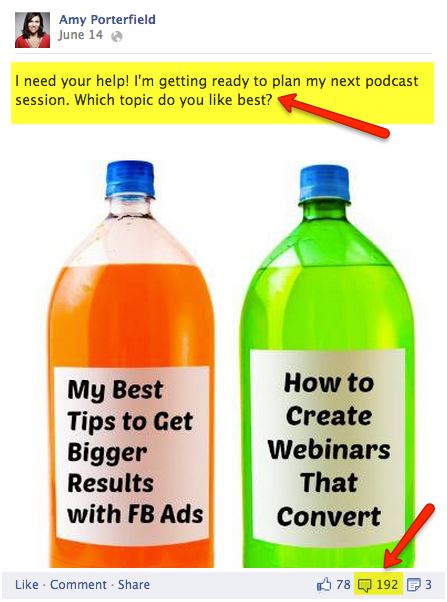 Whether your fans ever purchase from you as a result of one of these webinars, you’ll find a good percentage become evangelists for your brand and love to help spread the word to their own community. 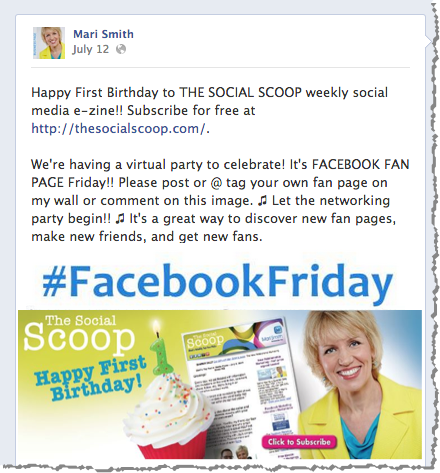 Mari Smith, author of The New Relationship Marketing and co-author of Facebook Marketing: An Hour a Day. Get a big return on your time investment using LinkedIn’s Your Day feature. 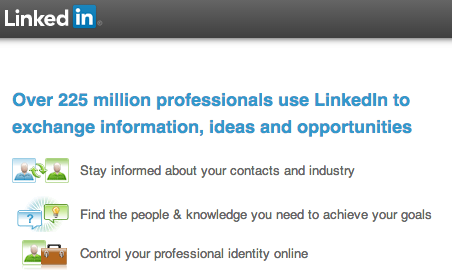 Linda Coles wrote a very thorough article on the new LinkedIn Contacts back in June. If you haven’t read it yet, go read it now! Sync your contacts and your calendar with LinkedIn and the Your Day feature will give you an opportunity to more deeply communicate and engage with your network, especially as this feature is new and most people aren’t using it. Strike while the iron is hot! Use the Your Day feature to deepen your relationships on LinkedIn. The Your Day section in Contacts will show you if your contacts are having a birthday, have been promoted or are in a city you’re traveling to. Your average Facebook user probably gets between 50 and 100 congratulations on his or her birthday. They might get one or two on LinkedIn. Who’s going to stand out? If one of your contacts just got promoted in a company that you’ve been prospecting, this might be a really great time to reengage with him. And what better way than to congratulate him on his promotion? How much more business are you likely to close in a face-to-face meeting? What if you could set five additional meetings in the next city you are traveling to? At the very least, you could write the trip off! The announcement section will also show you who in your network lives in a town you’re traveling to and you can set up a meeting right from there. Any reminders you have set to get back in touch with the connection will show up here as well. And keep showing up until you do something about them. Finally, when you sync your calendars to LinkedIn and have an appointment with another LinkedIn connection, LinkedIn will pull up her profile information in the Calendar feature so you can quickly get a snapshot of whom you’ll be talking to. Check the notes you’ve taken on her, as well as who introduced you so you can thank them later. A win-win-win situation! Taking just a few minutes every day to review and congratulate your connections could have a big effect on your bottom line. How’s that for your return on time investment (ROTI)? Viveka von Rosen, author of LinkedIn Marketing: An Hour a Day, host of #LinkedInChat and co-moderator of LinkedStrategies. Let’s face it. If you’re posting on Facebook and not seeing engagement in the form of likes, shares or comments, you’re wasting your precious time. You need fan engagement if you want to continually be seen in the news feed (which is where all the action is on Facebook!). One simple way to boost your engagement is to use images to amplify your status update. Here’s what I mean: Search for “blank” images like talking bursts, chalkboards and signs, and then add text to the images, in the form of a question for your followers to answer. You can use fun images to help amplify your question and grab attention. Amy Porterfield, co-author of Facebook Marketing All-in-One for Dummies, a social media trainer and speaker. When it comes to social media, businesses should go deep, not broad. It’s better to become a master of one or two channels than flounder in many. When you look at social media channels, a good model is to break them into social platforms vs. social networking sites. Social platforms are like soapboxes; they allow you to establish your expertise and credibility, but provide a method for feedback and discussion. Examples include blogging, YouTube, podcasting and SlideShare. Social networks are more like a real-world networking event. Think about Facebook, Twitter, LinkedIn, Google+ and possibly Pinterest. Find the right social platform or network for your business. Whether your business is B2B (business to business) or B2C (business to consumer), it’s beneficial to choose one platform and one network to focus on initially, and really develop a deep engagement level with your ideal customers there. As you master those channels, you can then start to expand into other realms. Rich Brooks, president of flyte new media, a web design and Internet marketing company that helps small businesses succeed online. Originally coined by Andrew Davis, author of Brandscaping, Social Media 4-1-1 is a sharing system that enables a company to get greater visibility with social influencers. 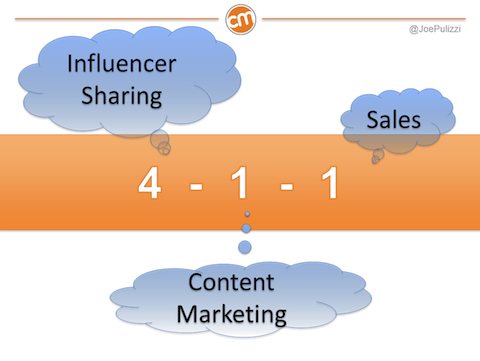 Use the social media 4-1-1 for your company, to get better visibility with social influencers. For every six pieces of content shared via social media (think Twitter, for example) four should be pieces of content from your influencer target that are also relevant to your audience. This means that 67% of the time, you are sharing content that is not yours and calling attention to content from your influencer group. One piece should be original educational content that you have created. One piece should be sales-related—like a coupon, product notice, press release or some other piece of content that no one will likely pay attention to. While the numbers don’t have to be exact, it’s the philosophy that makes this work. When you share influencer content, they notice. And you share this content without asking for anything in return (so that when you do need something someday, those influencers are more likely to say yes). Joe Pulizzi, founder of the Content Marketing Institute and author of Epic Content Marketing, now available for preorder. Social media overwhelm is one of the biggest challenges for small businesses. They think they need to have a presence on every social platform including the latest “shiny object” that comes along. This spreads them too thin and causes wasted time and effort. The solution is rather simple: if social media makes sense for your business, be where your customers are. Find out where your customers are hanging out online, choose 1 or 2 of those platforms that you enjoy and that align with your business objectives and then focus deeply on those platforms. There are a number of tactics to help you find where your customers are online such as: ask them (so simple, yet so many business don’t do this), use the search functionality in each of the social channels to see if there are communities talking about your business or topic of interest and use Google Alerts. Discover who is talking about your topic using Google Alerts. Set up alerts for your name, business, industry and topics of interest. This will give you insight into the conversations happening that are relevant to your business, so you can join the conversation where appropriate. Rick Mulready, creator of the Inside Social Media Podcast. It’s been said that an image is worth a thousand words and since the explosive growth of Pinterest, more and more emphasis is being put on images in social media marketing. Images can help clarify a message and can also quickly grab someone’s attention. 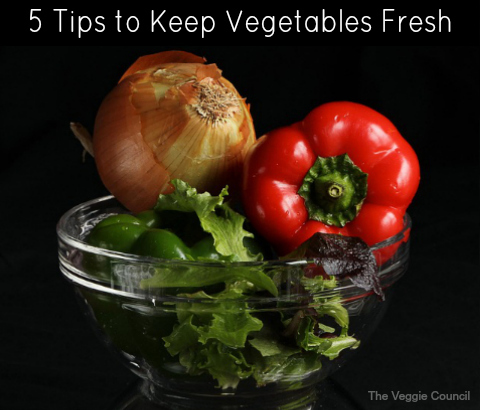 Images used in blog posts help the reader to comprehend the content and tend to be more memorable. The images can then be shared across networks like Pinterest, Facebook and Google+ to help promote the content. For example, take this image below. What does it say to you? 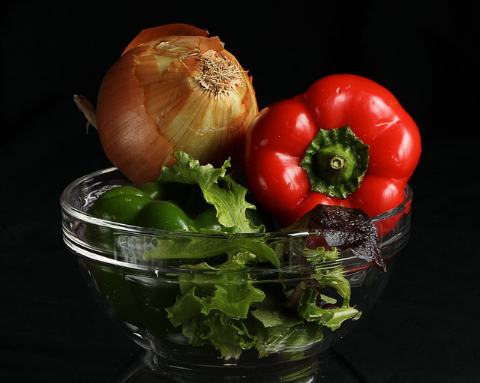 Is it about how to make a salad or is it about food photography lighting? This image could send out different messages. Most people don't take the time to read the text. Use simple text to help bring attention to your pins and posts. Most people scan the content they come across and don’t take the time to read the descriptions or comments associated with the image, unless the image grabs their attention first. A little nudge in the form of a simple text overlay can go a long way in bringing targeted attention to your pins and posts. 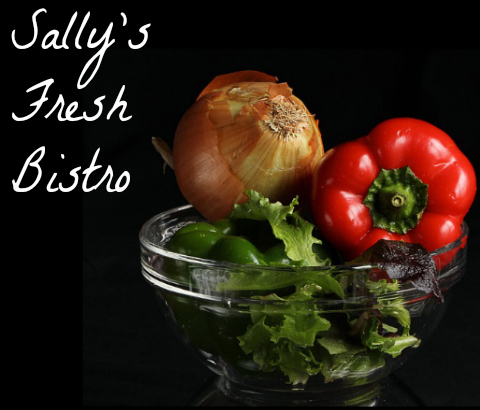 Text overlays can be added quickly and easily with online image editing tools such as PicMonkey or Pixlr. A few words can make the difference between your content being overlooked and attracting a targeted audience. Cynthia Sanchez writes and podcasts about all things Pinterest at Oh So Pinteresting. Send an email to your connections on LinkedIn every month and generate leads and sales. Although LinkedIn only allows you to send to 50 contacts at a time, you can send many emails. We tend to connect with people but not communicate with them enough. When you send the email, don’t make it promotional. Provide something of value that’s relevant to your business. Communicate with your connections on LinkedIn by sending them an email. If you have an audience relevant to your business and grow your connections, the regular emails will be a good source of leads of sales for your business. Recently I sent an email to 1,000 contacts about a new tools guide and got 100 people signed up for it—10% conversion! Are you communicating with your LinkedIn connections? The typical advertiser promotes a post or creates an ad and accepts Facebook’s automated optimization. Facebook will typically optimize promotion of a post for engagement—surfacing your ad to people most likely to click within your ad. But what if you want a specific action? This is where Conversion Specs come into play. When evaluating ads, you may only look at the cost per action. This gives Facebook the relevant conversion information it needs to help you. Use Facebook’s Power Editor to optimize your ads for the specific actions relevant to your business goals. Jon Loomer trains and consults advanced Facebook marketers to maximize profits through the use of Facebook ads. Connect in real life with your social media network. Take some time to reach out via Skype or even the phone for a quick hello to people who are active in your niche or in a complementary business to yours. Many times there are great ways to partner up between people in the same niche or there are ways that complementary businesses can be referral partners. I know every time I have connected in real life either through a conversation or by meeting at a conference, the social media connection is so much richer and more meaningful. If I look at who retweets, shares and comments the most on my posts, it’s usually the people I’ve met in real life in some way. It’s easier to have online conversations after you’ve had an offline one. Google+ is a great way to make real-life connections. Andrea Vahl, co-author of Facebook Marketing All-in-One for Dummies, uses her improv comedy skills to blog as Grandma Mary, Social Media Edutainer. I have a simple philosophy when it comes to social media marketing: build online influence. Influence is the secret to social media success. It’s the sugar in the cake. It’s the foundation for building an authentic following online that can ultimately lead to new clients or customers. Your online influence can lead to new clients or customers. 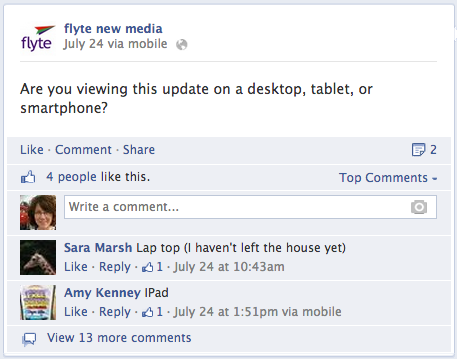 With the social media landscape constantly evolving, new networks, tools and tactics are always going to come and go. You will hear of new tips and tricks daily regarding “what works” for building your brand and your business through social media. However, without a strong foundation in place that positions you as a person of influence, it will be difficult to sustain success. You can try every social media tool, strategy or tactic available, but without influence at the core, you likely won’t get too far. If you focus on becoming a person of influence in your market, you’ll build more trust and loyalty. People will know that you are sincere and that you truly care about helping them. Building influence through social media doesn’t happen overnight. It’s a long-term investment in helping others solve problems, get smarter, and achieve more. If you consistently spend your time on these influence-building activities, you can achieve great things with social media that will benefit you personally and professionally for many years to come. 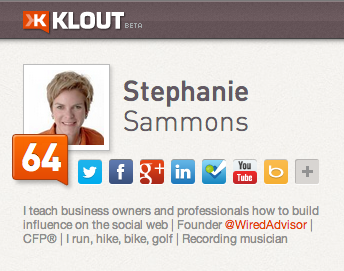 Stephanie Sammons, founder of Wired Advisor, a digital strategy coaching and marketing company for financial advisors, business professionals and professional services firms. There is nothing more powerful than meeting people face-to-face. We connect with so many people online but when you can put a face to the name and even share coffee with someone, opportunities will start to arise. Even if you’re “best friends” on Twitter, sharing a coffee with that person can change your life and business. It has for me. Because meeting people in person is so important, I’ve recently started using the Here on Biz app. It connects with your LinkedIn account to show you who’s a local and who’s in town visiting that you may want to connect with. 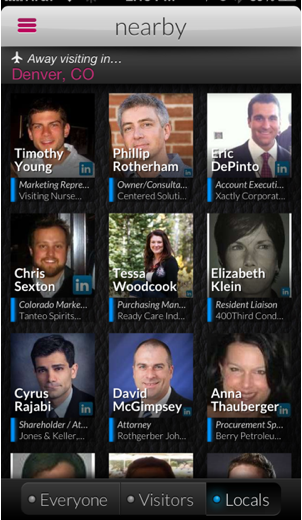 Here on Biz is a mobile app that will identify the most valued professionals to you and when they are nearby. You can quickly see their name and title before connecting with them. You’re able to check into events to see if anyone within your network is attending the same event and even initiate a chat to schedule a meeting. If you’ve ever met someone in person who changed your business, you’ll understand the opportunities this creates for you. Look for new ways to create a real handshake with the awesome people in your social networks. Greg Hickman, founder of Mobile Mixed, a blog and training resource for businesses going mobile. Obviously a Facebook page can’t follow fans, but Twitter, Google+, Pinterest and Instagram all give businesses the chance to search for relevant social media users based on their biography or the content they post and follow them. While there are tools like Tweepi or SocialBro which can help you find and follow relevant users on Twitter, other platforms will require you to do a bit more searching and perusing of profiles to find and follow relevant users. Use SocialBro to find relevant users on Twitter. 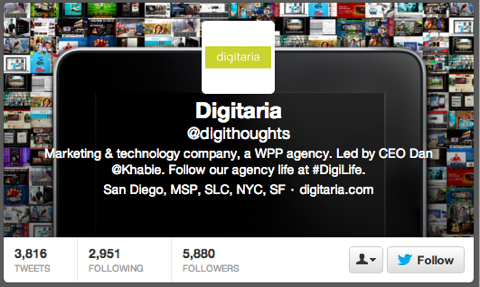 That’s why you should make following/follower management part of your daily social media routine. Invest a few minutes a day, or perhaps 15 minutes a week, in finding new social media users to follow while maintaining a following/follower ratio that you are comfortable with. This will help you not only get noticed in various social media communities, but undoubtedly help you build a larger, more targeted base of followers. Neal Schaffer, president of Windmills Marketing, author of Maximizing LinkedIn for Sales and Social Media Marketing: Understanding, Leveraging and Maximizing LinkedIn. Your audience has a million options for content. Effective marketing means that you have to rise above the noise and differentiate yourself from everything else so that your audience, in fact, chooses you. Nothing does this like a live Internet broadcast. An article can be read later, a Facebook post can be commented on whenever and tweets can be consumed when one gets around to checking in. A live broadcast has to be consumed right here, right now. It “gets the click” like nothing else out there. Use this to your marketing advantage. A live broadcast "gets the click" like nothing else. Don’t market the platform you’re on (nobody cares that you’re having a Hangout on Air or using Ustream.tv), market the fact that you’re live, right now. The important thing is that they connect with you right now. They can find out what platform you’re using the second they jump on over to your live broadcast. Consider the multicasting model for your content. Take the content from your live broadcast and publish it to the streaming sites, podcast it into all the directories, embed it into your blogs and share it on your social networks. Make the transcript from your event available for people who like to read on blog posts, Kindle books, etc. You’ll be surprised how many touchpoints the content from your live broadcast can have and the ROI you get from such an approach. Paul Colligan, director of content marketing at Instant Customer. Use Google Analytics custom UTM parameters on links shared in social media channels. This will pass the source (social channel name, such as Twitter), medium (content type shared, such as a blog post) and campaign (content name or title) you added for the link right into Google Analytics with your other web reporting. 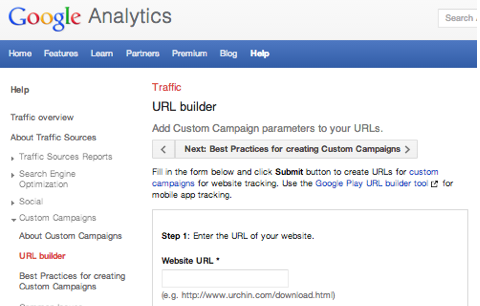 With Google Analytics, you can add custom campaign parameters to your URLs. Bonus tip: If goals are set up inside Google Analytics, you’ll also be able to tell when social media was the last source prior to a conversion. Nichole Kelly, president of SME Digital, the digital marketing division of Social Media Explorer. Provide your customers with the most valuable content and insights across your social channels by participating in two-way dialogue on the right channel. If you find your demographic is most active on Twitter, or congregates in a smaller forum, join that platform, be transparent and participate in one-on-one dialog. With Twitter, you can participate in one-on-one dialog. You can actually ask your customer directly online how they feel about a particular topic. Learn about their pain points, what they like, don’t like and take those insights and apply them to better your business. Do not pose broad questions to everyone, but home in on specific individuals who will yield a higher response rate. Perhaps your content can solve some of the issues your customer faces. For example, if you’re a smaller neighborhood grocery store and you know your target audience, let’s say moms, is struggling to find ways to maximize time with their family and minimize time shopping for food each week, provide them with quick tips they can use when navigating your store. This will help simplify your customers’ shopping journey and create loyalty. Stephanie Shkolnik, social media director at Digitaria. The social media marketing experts who contributed to this article are all speaking at the Social Media Success Summit. Social Media Success Summit 2013 is a live online conference that will empower you to use social media to gain more exposure, increase traffic, cultivate loyal fans and grow your business. More than 45 of the world’s leading social media pros will show you how. The event is spread over four weeks in October. Join nearly 3,000 fellow marketers at the online mega-conference designed to empower and inspire you with social media marketing tactics—brought to you by Social Media Examiner. Why should you attend Social Media Success Summit? You’ll hear from 45+ of the world’s top social media marketing pros as they reveal their newest social media marketing tips and practical, real-world, proven examples. What do you think? Do you use any of these social media tactics? What’s working well for you today? Please share your comments below!